« 27.10. @ Black Hammer / Leipzig! Fellows from Leipzig / D.C. keen on playin the grumpy HC mayor league. Six songs of raw´n´oi-inspired menatlity. Next stop: Hardware Records! Hand-crafted cases incl. 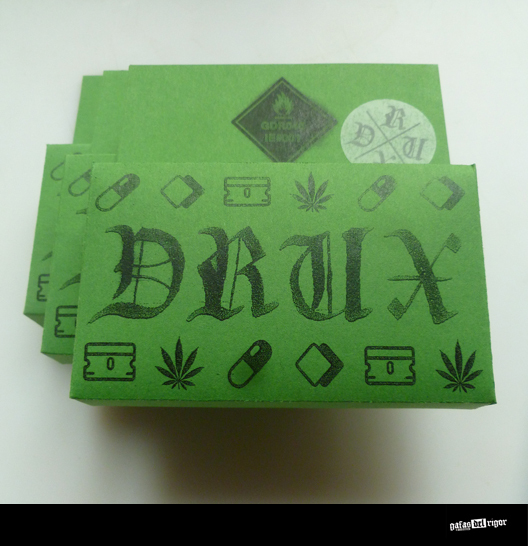 sticker and your individual druggy boost. In coop w/ allmighty Benny Druckwelle @ Interceptor Editions. Limited to 80 copies. Dig it and get your druxs right now!